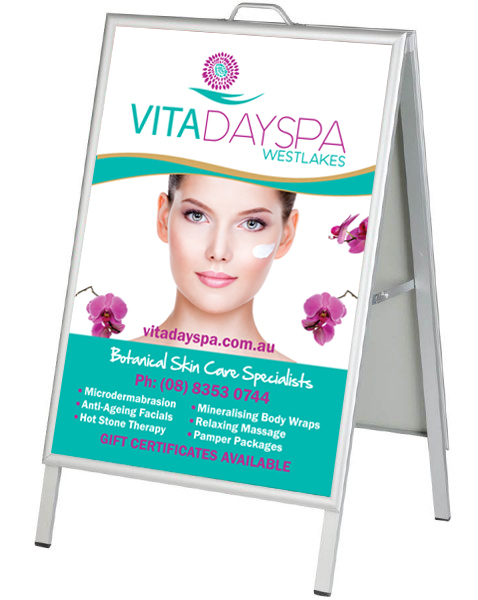 A-frames and A-Boards are a great way to advertise your business to passers by, placed on the sidewalk or footpath each day to gain more exposure, also useful for clients to locate your business premises easier. 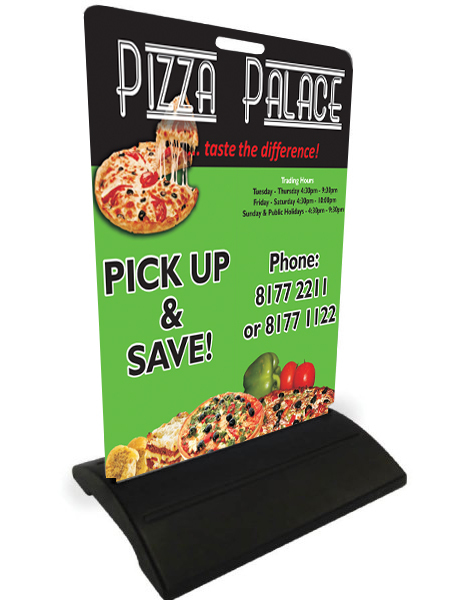 A-Boards are a portable and easy to move around signage solution, making them ideal for real estate agents for home open advertising, with the ability to pack them up and move them from property to property. 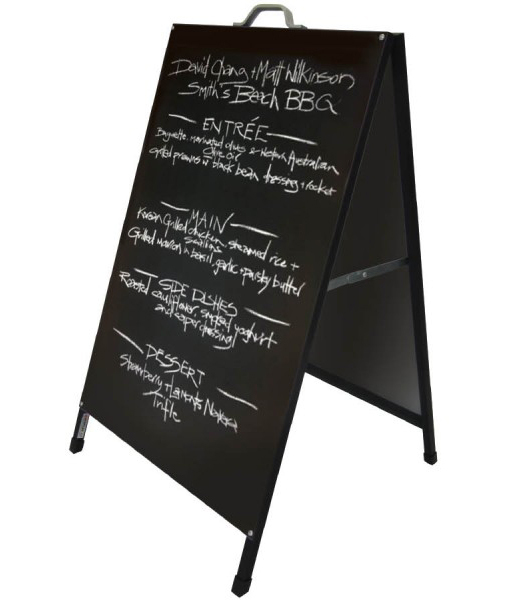 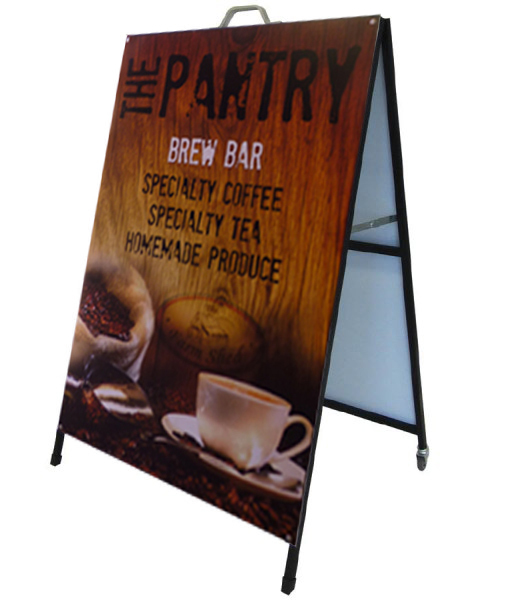 Our top quality sidewalk A-Board Signage is made up of a black powder coated Steel Frame with colorbond steel panels ready to apply full colour graphics – a great sign choice for retail and businesses.